The National Agency for Food and Drug Administration and Control (NAFDAC) has commended Pharmacist Ahmed Yakasai, immediate past President of Pharmaceutical Society of Nigeria (PSN) for his contributions especially in the fight against drug abuse and substandard regulated products. Prof. Moji C. Adeyeye, the Director General, NAFDAC represented by Pharm. Mohammed Shaba, the Head of NAFDAC, Kano office, penultimate weekend, gave him special NAFDAC recognition. The NAFDAC award came on the heels of his recognition by His Royal Highness, Igwe Oranu Chris Chidume Eze Ana-Ukwu, Eze Igulube of Omor Kingdom for his selfless services to humanity via his numerous contributions to healthcare, public health development and capacity building in pharmacy. 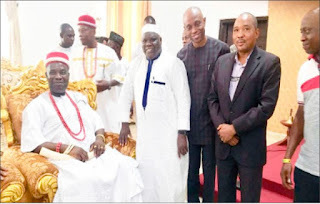 He conferred on him the chieftaincy title of Nwanne Di N’mba of Omor Kingdom” in Anambra State on Thursday, December 13, 2018 in the presence of His Majesty, Igwe Nnaemeka Alfred Achebe, the Obi of Onitsha. 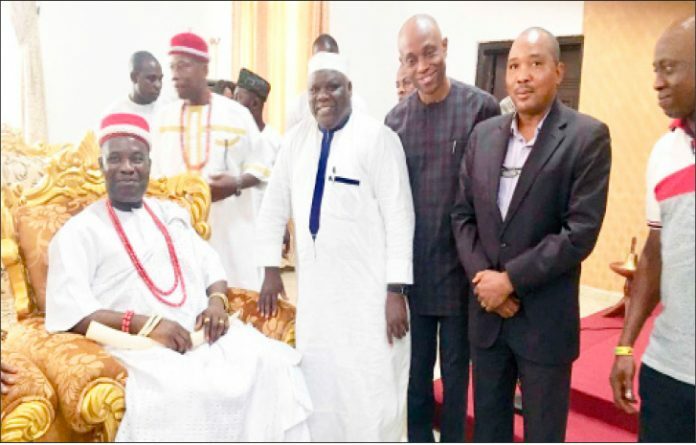 Other eminent dignataries who witnessed the event are, His Royal Majesty, Igwe Pharm Alex U. Onyido, Eze Ogidi; Pharm Onyeka Onyeibor, GMD, Miral Pharma Ltd; Madam Tonia Uduimoh of Oando and Mr. Okechukwu Okafor of Miral. In appreciation of all these recognitions by well-meaning Nigerians and professionals alike, Yakasai pledged to spend the rest part of his life helping to reduce the problem of fake drugs and indeed drug abuse. The immediate past PSN boss giving explanation for his pledge said; “This idea came from in-depth discussion with Dr. Ifeanyi Okechukwu and Dr. Chimezie Anyakora of United States Pharmacopeia (USP) and with my little knowledge of Nigerian and global issues on Substandard and falsified products (Fake) and consequences of Drug Abuse and again as former National Deputy President of Nigerian Institute of Substance Abuse (NISA). “It hurts to see this happening around us and decided to come up with “Safe Medicines Foundation,” he said. Yakasai elaborated that the aims and objectives of the Foundation to be launched in January 2019 by the grace of God are to become the trusted go-to resource that can help consumers, healthcare professionals, law enforcement agencies, policy makers and the government navigate the increasingly complex and dangerous world of substandard and falsified (fake) medicines. The Foundation will also build strong alliance with all stakeholders engaged in the medicines supply chain; to raise public awareness of the harms to consumer safety caused by substandard and falsified (fake) medicines. It will further improve the collaboration between healthcare practitioners and other stakeholders in the battle against substandard and falsified (fake) medicines. Others are to adopt modern technology to empower and enable African consumers to access safe medicines as patients fundamental right to safety and informed choice; to ensure that consumer safety prevails as the priority by engaging with all stakeholders in an equitable manner, with a focus on the poor and vulnerable consumers in Africa; to advocate for policies and programmes that will improve patient safety; to promote rational prescribing and rational use of medicines. They also include educating the public on the harmful outcomes of drug abuse; promoting and supporting whistle-blowing on the sources of these illicit activities.